February 2018 | Bloomfield Cooling, Heating & Electric, Inc.
We’re no longer cooking food over newly discovered fire unless we’re at a cookout – but that’s how home heating began. As far back as nearly two million years ago (1,900,000 BC), humans began cooking food over fire. The discovery of fire not only enabled early man to cook his food but to also start heating his domicile in a rudimentary fashion. Archaeologists have uncovered evidence of humans using fire in this way about 100,000 years ago, with central fires in dwellings that had roof openings to vent the smoke, almost like a tipi. “Fast forward” to around 42,000 BC, by which time the Neanderthals were using mammoth bones to build hearths (as discovered in what is now Ukraine). In the ancient times of Greek and Roman civilizations—say, 2500 BC—possibly the first central heating system with radiant heat was created. There are flues in the ground in the excavated Temple of Ephesus, for purposes of circulating heat produced by a fire. This is pretty amazing since it is a precursor to modern-day gas furnaces! Throughout the Roman Empire, there is evidence of central heating systems in some buildings, baths, and upper-class homes; these building what are called “hypocaust furnaces”; these created and distributed heat by warming empty spaces under floors that connected to pipes in the walls—the first form of radiant heating. Similar furnaces were developed by other cultures. Unfortunately, with the fall of the Roman Empire and the Dark Ages, humans took a step back to more primitive fireplaces, which would have warmed up a very limited space. However, things started heating up around 800 AD with the introduction of clay stoves and by the early Renaissance period, monks in Europe brought back a central heating system by diverting river water and heating it with wood-burning furnaces. Ventilation improved as well with the first chimneys. And, just as today, technology continued to improve home heating; masonry stoves became common by the 1500s and chimney construction became more refined. Circulating heat came back—finally!—in the early 1600s with the invention of a circulating fireplace with a raised grate that promoted airflow. By the early 1700s, technology once again brought improvements to citizens in England, who used combustion air from an outside duct to circulate heat. Russia’s Peter the Great equipped his Summer Palace with a hot-water heating system around this time. 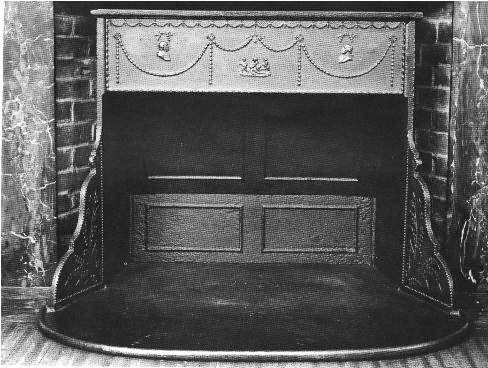 In the American colonies, Benjamin Franklin introduced his Franklin stove in 1741, a more efficient model than its competitors. In Scotland in the late 1700s, James Watt got busy developing the first working steam-based heating system for his home; it had a central boiler and pipe system. These advancements signaled a new era in home heating, which was further refined in the early 1800s by England’s William Strutt, who invented a warm-air furnace that could heat cold air. This heated air traveled through ducts into rooms, much as our modern-day central heating does. A big step towards modern home heating happened in Russia in 1855 with the invention of the radiator and 30 years later, the first thermostat was patented. Electric heat was also being worked out during the late 19th century into the early 20th century. Thomas Edison invented the first electric heater in 1883 and the filament wire that would heat up to toast bread—a precursor to the electrical heating unit—was discovered in the early 1900s. In 1919, just under 100 years ago, Alice Parker of Morristown, NJ patented the first central heating system. It was the first furnace fueled by natural gas, and Parker’s design enabled cool air from a compartment to be drawn into the furnace, where it was conveyed through a heat exchanger and delivered throughout the house or building through ductwork. Technology brought forced convection wall heaters using a coal furnace, electric fan, and ductwork in 1935 and direct exchange ground-source (geothermal) heat pumps in the late 1940s. A major innovation came in 1990 with solar air heating and in this century, homes and office buildings are being wired with smart technologies that help occupants regulate the heat remotely and more accurately based on actual use or need. At Bloomfield Cooling, Heating & Electric, we’re thankful we can make the latest HVAC technology available to our customers, with top-of-the-line heating (and cooling) systems for homes of all sizes and ages. 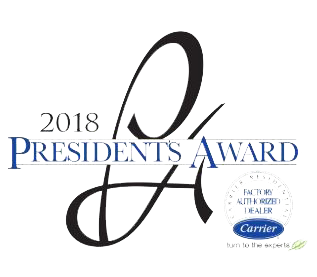 Read more about our services here, and contact us for a free estimate on your HVAC installation, gas conversion, or system maintenance needs.